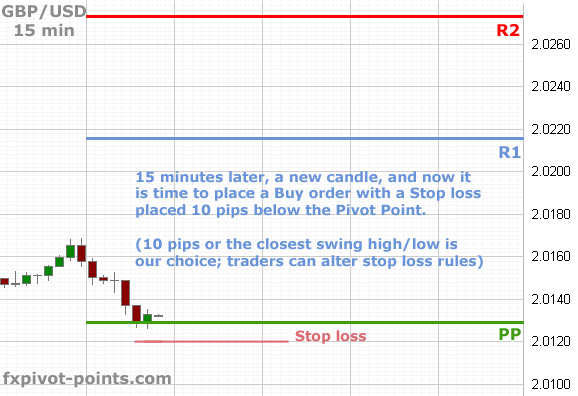 We don't enter on the touch of the Pivot Point line. Why? Because we remember that the price do breaks through support / resistance levels, otherwise it would move constantly in one direction. So, instead of "jumping in fire", we wait. 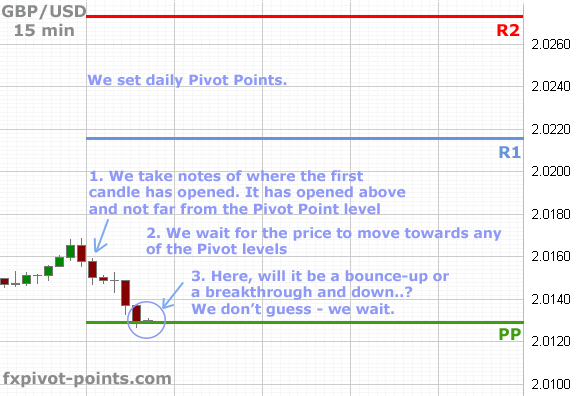 Remember, before we actually see the price bouncing off the Pivot Point level, we can only expect it to do so. An expectation is not a good reason for entry. We need to see the price touching, stopping and then reversing. That's what we wait for. Another 15 minutes goes by and the situation clears: once we see a U-turn we enter!